Freelancing offers an amazing lifestyle, but that lifestyle comes with some risks. Sure, you can work wherever you want, whenever you want, and earn a nice living as long as you keep your clients happy. However, unlike a regular nine to five, it also comes with some risks. Because clients looking to save cash don’t have to fire freelancers like they do full-time employees, you are the first to lose work in the event of a financial squeeze for your client. Projects can come and go, and there is not always another one ready to take its place. In other words, your income isn’t guaranteed, and you need to pad your savings account to ensure you can make it through a rough patch. Here are some ideas to help you make it happen, even with irregular income. A few months ago, I earned a whopping $16,000 in a single month, primarily from freelancing. But a few months before I brought in $10,000 less, around $5,500 in total revenue. While $60,000+ per year sounds like a great income, between expensive California rent, health insurance for my family, and taxes, $5,500 goes really fast. I can’t always count on earning $16,000 in a month. While times are good for me right now, you never know what the future holds. That is why it is important to have a big emergency fund as a freelancer. People with a regular day job should save at least three to six months of expenses to get by in the event of a lost job. Freelancers should strive to save well over six months of expenses, as you never know when the next dry spell with rear its ugly head. Every time you earn money as a freelancer, you have the option of how to put those dollars to work. As I started my online writing career in the personal finance niche, I am a big fan of the “pay yourself first” method of dealing with your finances. Rather than paying your expenses first and trying to scrape by and save with what’s leftover, you should contribute to your savings and investments first and then pay your bills with what’s leftover. If you can’t pay the bills, it is time to look hard at your budget and where your money goes every month. Really focus on what is a true need, like food, and what is a want, like an iPhone 7. Most freelancers will find that if they keep their monthly recurring expenses low, paying yourself first isn’t too tough. If 80% of your income comes from one client, your business has what finance professionals call “revenue concentration risk.” If that one client walks away, you will only be making 20% of what you did before. That’s why every freelancer should also work on other income streams at the same time that they grow their own business. In addition to diversifying your income, you should diversify your savings. Your emergency fund should live in a high yield savings account. Your retirement should live in an IRA, Roth IRA, SEP IRA, or one of a handful of other retirement options. Your healthcare savings can live in an HSA. You can also create a regular, taxable investment account to help you grow your net worth without the constraints of a tax advantaged retirement account. By spreading out your income sources and your savings, you are protecting yourself from risk. If you earn 20% from five different clients and one walks away, you still have 80% of your income. 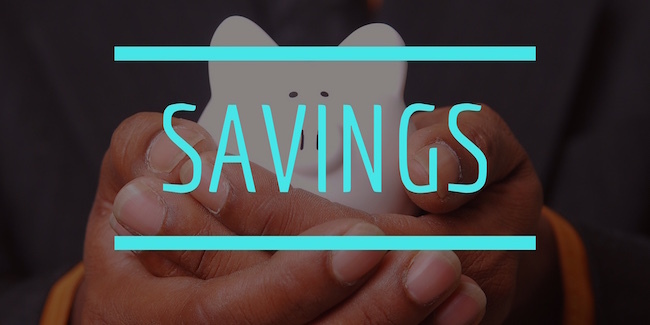 If you have diverse savings and the stock market drops, you will have no problem riding it out thanks to your cash savings in your emergency fund. Joseph and the Amazing Technicolor Dreamcoat is more than a cheesy Andrew Lloyd Webber musical. The biblical story tells an important lesson that both the ancient Egyptians and modern freelancers can learn from. In the biblical story, Egypt had seven years of plentiful crops followed by seven years of famine. Joseph warned the Pharaoh that seven years of famine were coming, so the Egyptian empire began to save and stockpile resources. When the famine hit, they were able to weather the situation without serious harm thanks to the savings that were made during the seven years of plenty. If you hit the jackpot and have an amazing month, save as much as you can. You never know when famine will strike your business. But if you are prepared, you will be able to easily survive the months of famine until you land your next big client.